‘OVER TOP' is a racing game released by SNK in 1996. Players will participate in breathtaking races through urban areas, mountainous regions, and snowy roads. The courses also feature weather variations to add more variety to the game. 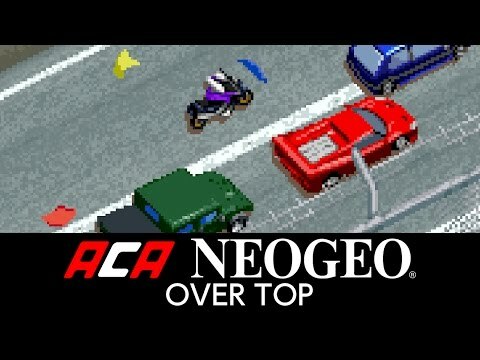 ‘OVER TOP' is a racing game released by SNK in 1996. Players will participate in breathtaking races through urban areas, mountainous regions, and snowy roads. The courses also feature weather variations to add more variety to the game. In addition to the various vehicles with different performance factors which players can use, they can also enjoy the thrill of drifting their way through corners to clear courses.